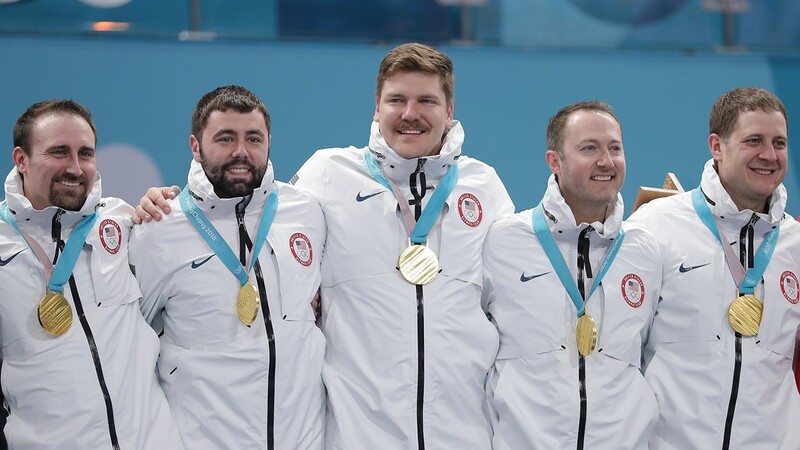 Gold medalists the United States react during the victory ceremony following the Curling Men's Gold Medal game on day fifteen of the PyeongChang 2018 Winter Olympic Games at Gangneung Curling Centre on February 24, 2018. 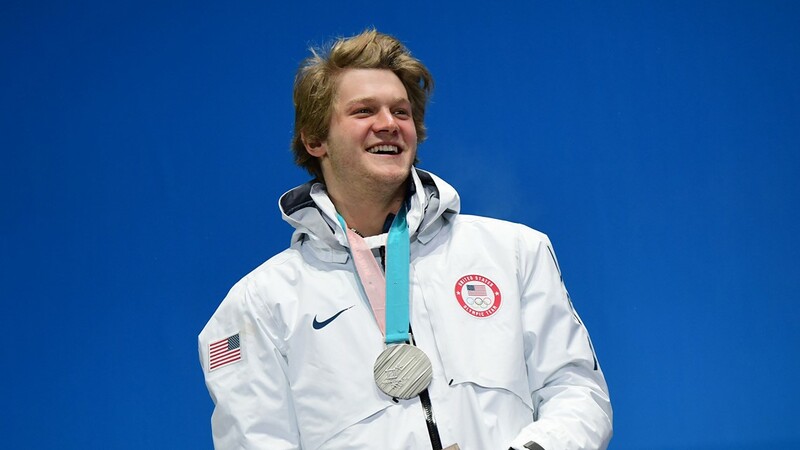 USA's silver medallist Kyle Mack poses on the podium during the medal ceremony for the snowboard men's big air at the Pyeongchang Medals Plaza during the Pyeongchang 2018 Winter Olympic Games in Pyeongchang on February 24, 2018. Gold medal winners Kendall Coyne #26 and Hilary Knight #21 of the United States celebrate after defeating Canada in a shootout in the Women's Gold Medal Game on day thirteen of the PyeongChang 2018 Winter Olympic Games on February 22, 2018. 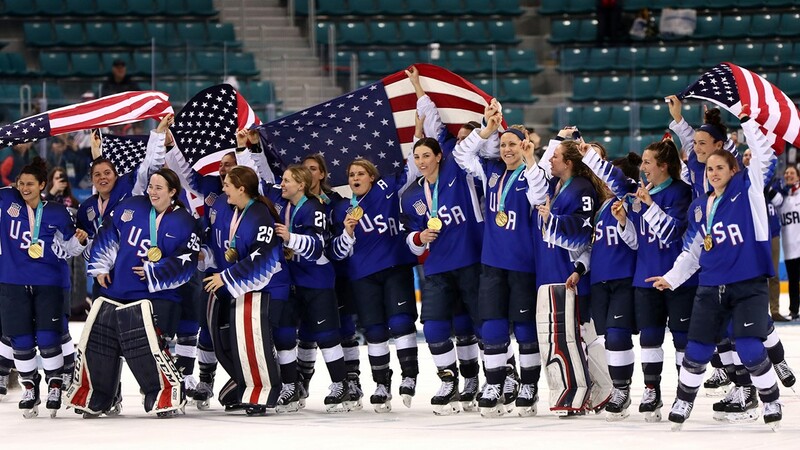 Gold medal winners the United States celebrate after defeating Canada in a shootout in the Women's Gold Medal Game on day thirteen of the PyeongChang 2018 Winter Olympic Games at Gangneung Hockey Centre on February 22, 2018. 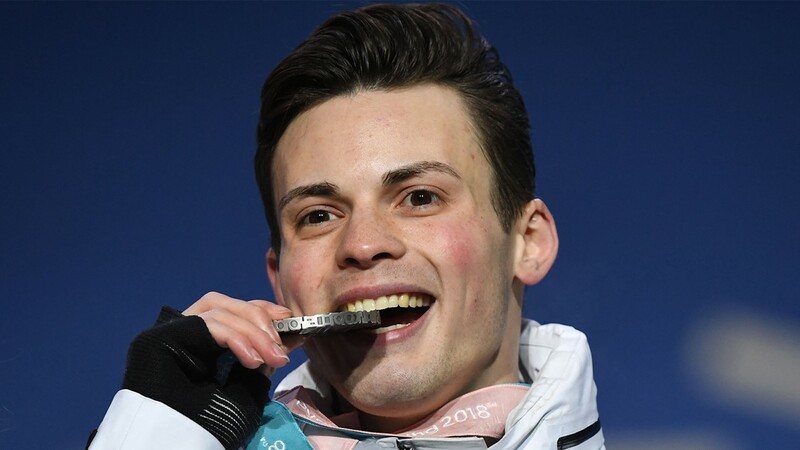 Gold medalist David Wise of the United States celebrates during the medal ceremony for Freestyle Skiing - Men's Ski Halfpipe on day 13 of the PyeongChang 2018 Winter Olympic Games at Medal Plaza on February 22, 2018. 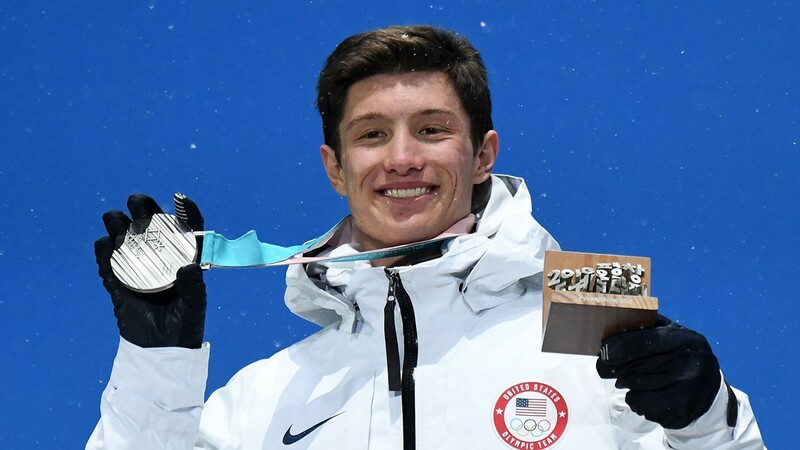 USA's silver medallist Alex Ferreira poses on the podium during the medal ceremony for the freestyle skiing men's halfpipe at the Pyeongchang Medals Plaza during the Pyeongchang 2018 Winter Olympic Games on February 22, 2018. 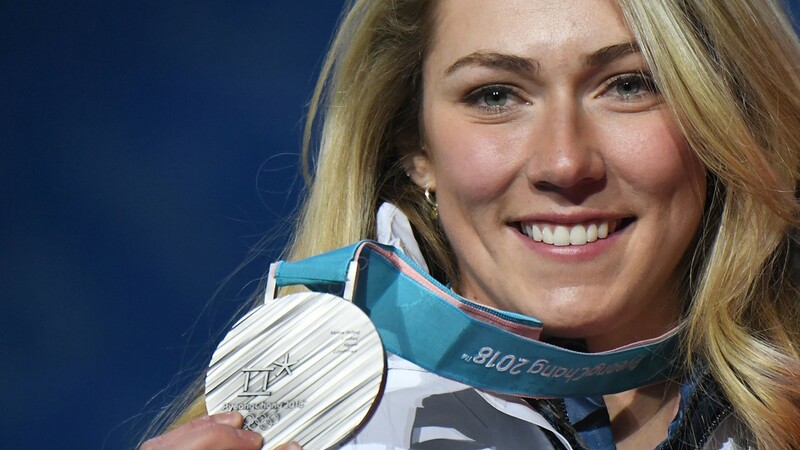 USA's silver medallist Mikaela Shiffrin poses on the podium during the medal ceremony for the alpine skiing women's combined at the Pyeongchang Medals Plaza during the Pyeongchang 2018 Winter Olympic Games on February 22, 2018. 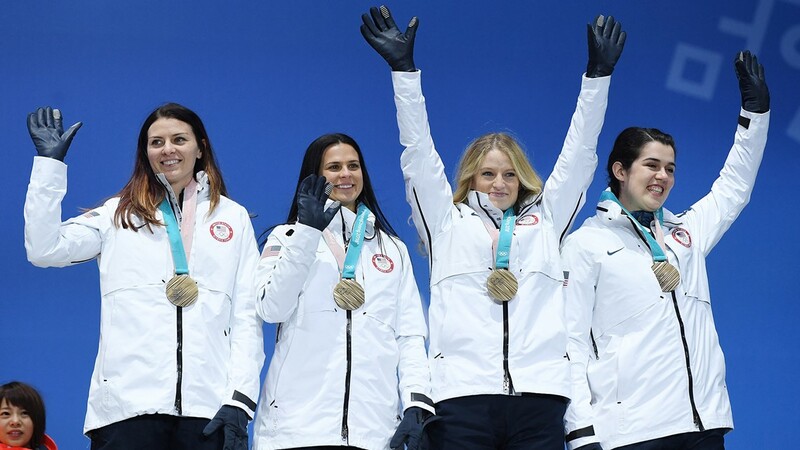 (L-R) Bronze medalists Heather Bergsma, Brittany Bowe, Mia Manganello and Carlijn Schoutens of the United States celebrate during the medal ceremony for Speed Skating - Ladies' Team Pursuit during the Winter Olympic Games on February 22, 2018. 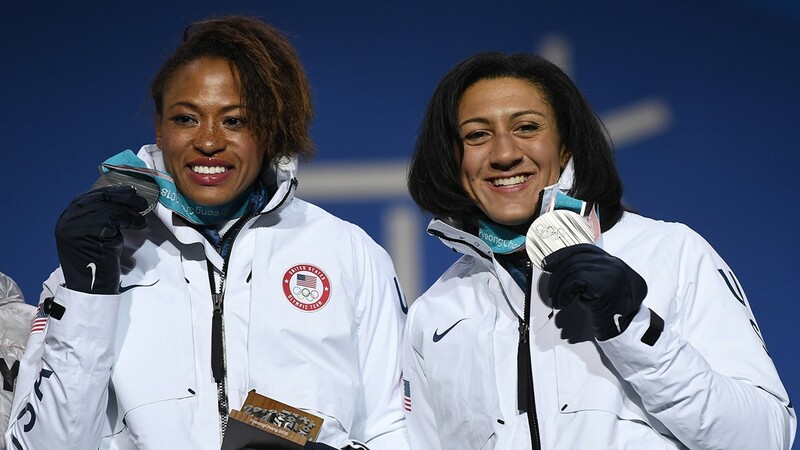 Silver medalists Lauren Gibbs and Elana Meyers Taylor of the United States celebrate during the medal ceremony for Bobsleigh - Women during the PyeongChang 2018 Winter Olympic Games on February 22, 2018. Gold medalists Kikkan Randall and Jessica Diggins of the United States celebrate during the medal ceremony for Cross-Country Skiing - Ladies' Team Sprint Free during the PyeongChang 2018 Winter Olympic Games on February 22, 2018. 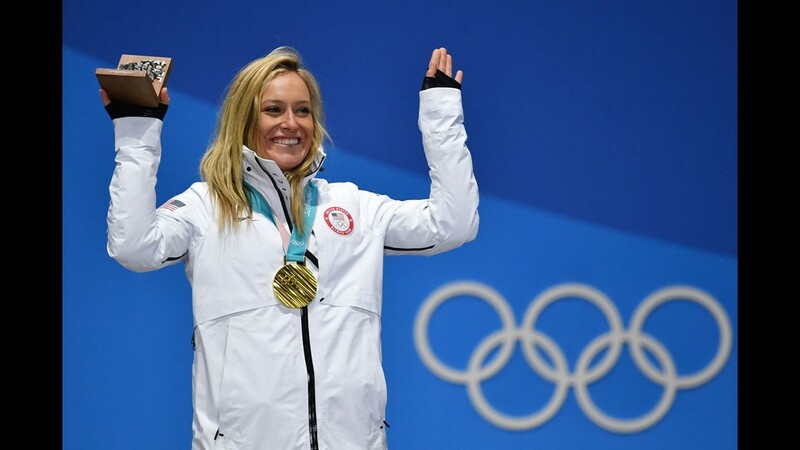 Silver medalist Jamie Anderson of the United States celebrates during the medal ceremony for Snowboard - Ladies' Big Air during the Winter Olympic Games on February 22, 2018 in Pyeongchang-gun, South Korea. Bronze medallist Lindsey Vonn of the United States celebrates during the medal ceremony for the Ladies' Downhill during the PyeongChang 2018 Winter Olympic Games at Medal Plaza on February 21, 2018. 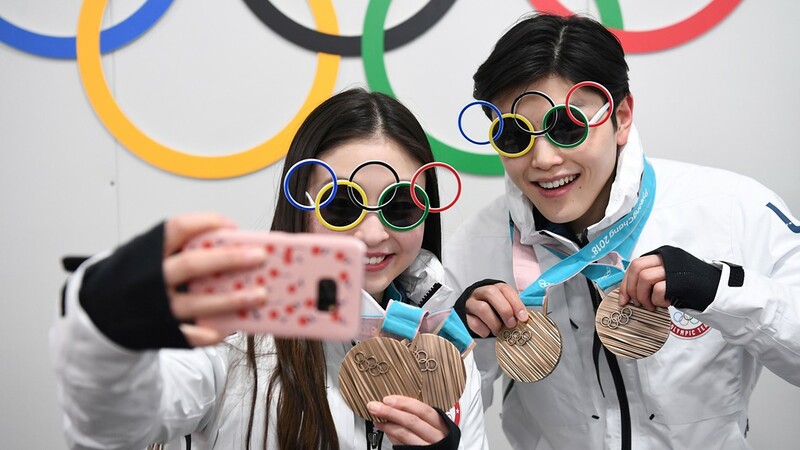 USA's figure skating bronze medallists Maia Shibutani and Alex Shibutani pose for a selfie in front of Olympic rings backstage at the Athletes' Lounge during the medal ceremonies during the Pyeongchang 2018 Winter Olympic Games on February 20, 2018. Bronze medalists Maia Shibutani and Alex Shibutani of the United States celebrate during the medal ceremony for Figure Skating - Ice Dance Free Dance on day 11 of the PyeongChang 2018 Winter Olympic Games on February 20, 2018. 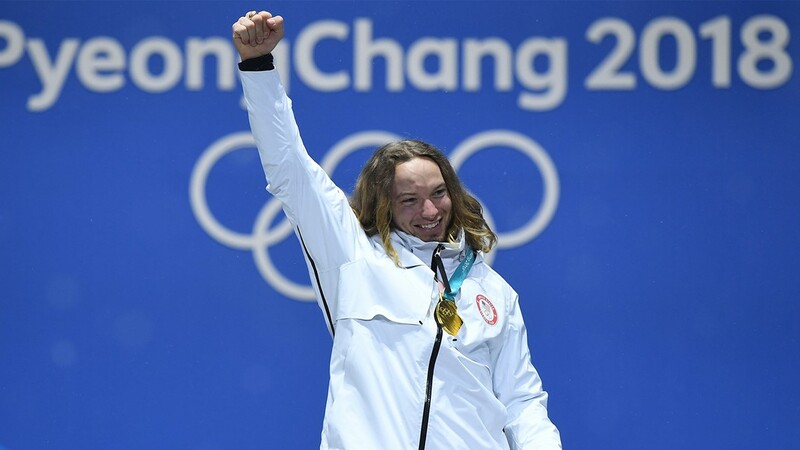 Bronze medalist Brita Sigourney of the United States celebrates during the medal ceremony for Freestyle Skiing - Ladies' Ski Halfpipe on day 11 of the PyeongChang 2018 Winter Olympic Games at Medal Plaza on February 20, 2018. Silver medalist Ragnhild Mowinckel of Norway, gold medalist Mikaela Shiffrin of the United States and bronze medalist Federica Brignone of Italy celebrate during the medal ceremony for Alpine Skiing - Ladies' Giant Slalom. Gold medalist Mikaela Shiffrin of the United States celebrates during the medal ceremony for Alpine Skiing - Ladies' Giant Slalom on day six of the PyeongChang 2018 Winter Olympic Games at Medal Plaza on February 15, 2018. Gold medalist Mikaela Shiffrin of the United States kisses her medal during the medal ceremony for Alpine Skiing - Ladies' Giant Slalom on day six of the PyeongChang 2018 Winter Olympic Games at Medal Plaza on February 15, 2018. 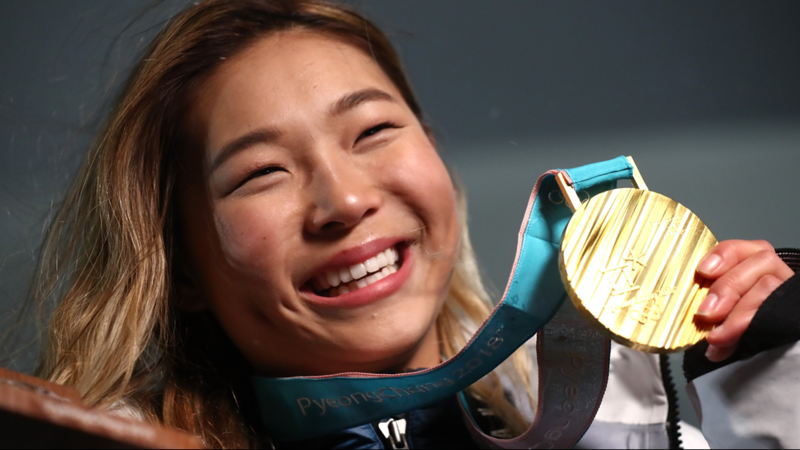 Gold medalist Chloe Kim of the United States poses during the medal ceremony for the Snowboard Ladies' Halfpipe Final on day four of the PyeongChang 2018 Winter Olympic Games at Medal Plaza on February 13, 2018 in Pyeongchang-gun, South Korea. 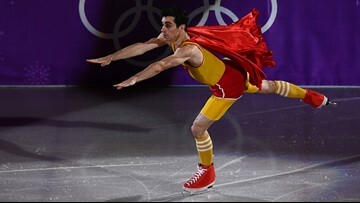 Gold medalist Shaun White of the United States poses during the medal ceremony for the Snowboard Men's Halfpipe Final on day five of the PyeongChang 2018 Winter Olympics at Medal Plaza on February 14, 2018 in Pyeongchang-gun, South Korea. 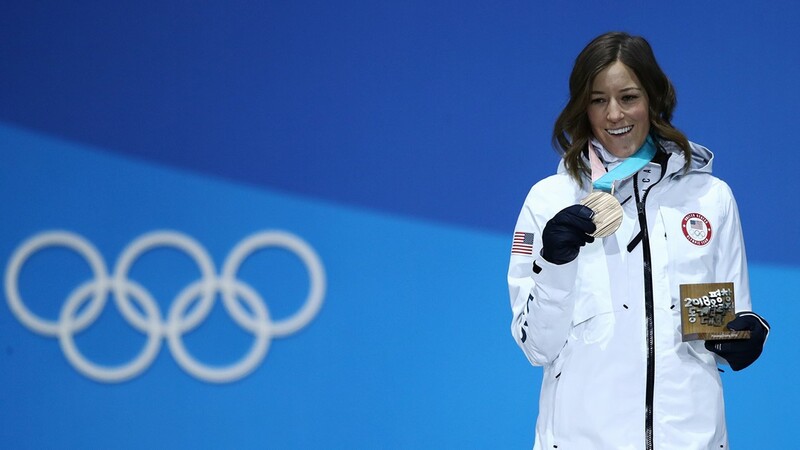 Silver medalist Ayumu Hirano of Japan, gold medalist Shaun White of the United States and bronze medalist Scotty James of Australia pose during the medal ceremony for the Snowboard Men's Halfpipe Final at the PyeongChang 2018 Winter Olympics. Bronze medalist Arielle Gold of the United States, gold medalist Chloe Kim of the United States and silver medalist Jiayu Liu of China pose during the medal ceremony for the Snowboard Ladies' Halfpipe Final at Medal Plaza on February 13, 2018. Bronze medalists Nathan Chen, Adam Rippon, Mirai Nagasu and Bradie Tennell of Team United States celebrate during the medal ceremony after the Figure Skating Team Event at Medal Plaza on February 12, 2018 in Pyeongchang-gun, South Korea. 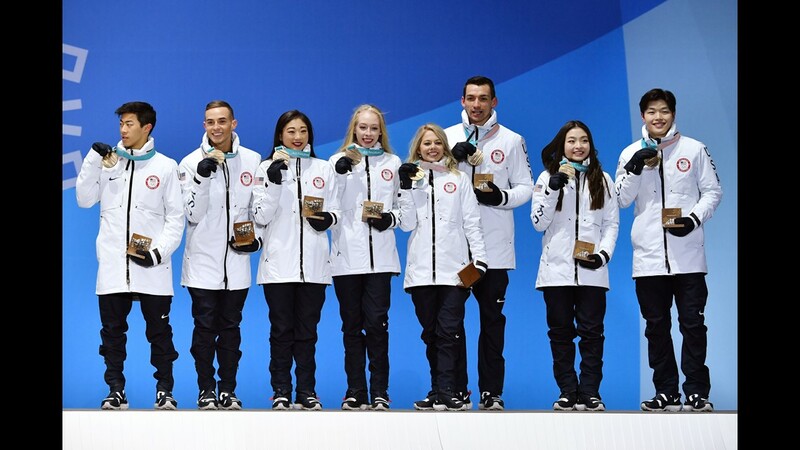 The USA team who won bronze pose on the podium during the medal ceremony for the figure skating team event at the Pyeongchang Medals Plaza during the Pyeongchang 2018 Winter Olympic Games in Pyeongchang on February 12, 2018. 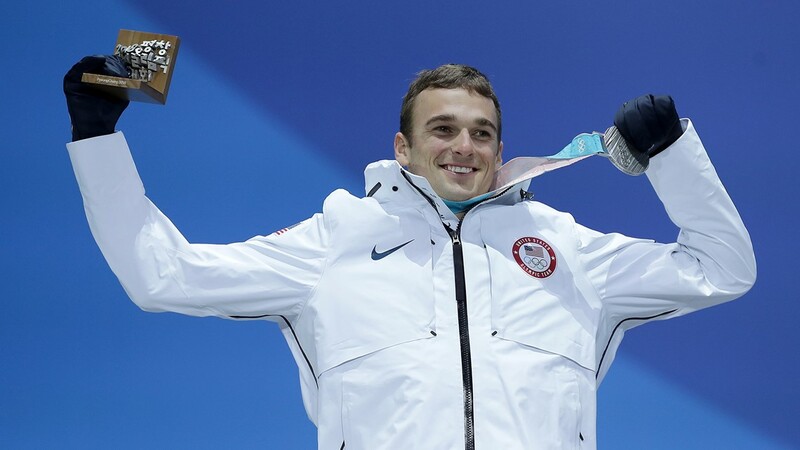 USA's silver medallist Chris Mazdzer, Austria's gold medallist David Gleirscher and Germany's bronze medallist Johannes Ludwig pose on the podium during the medal ceremony for the men's luge singles at the Pyeongchang Medals Plaza. 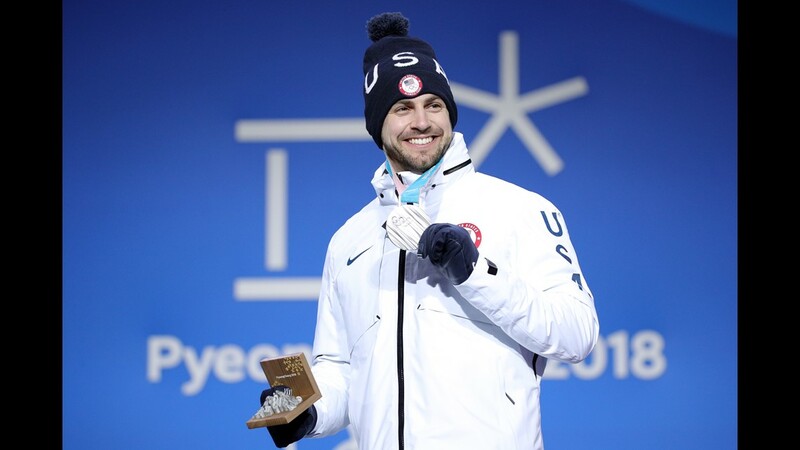 Silver medalist Chris Mazdzer of the United States poses during the medal ceremony for the Luge Men's Singles at Medal Plaza on February 12, 2018 in Pyeongchang-gun, South Korea. 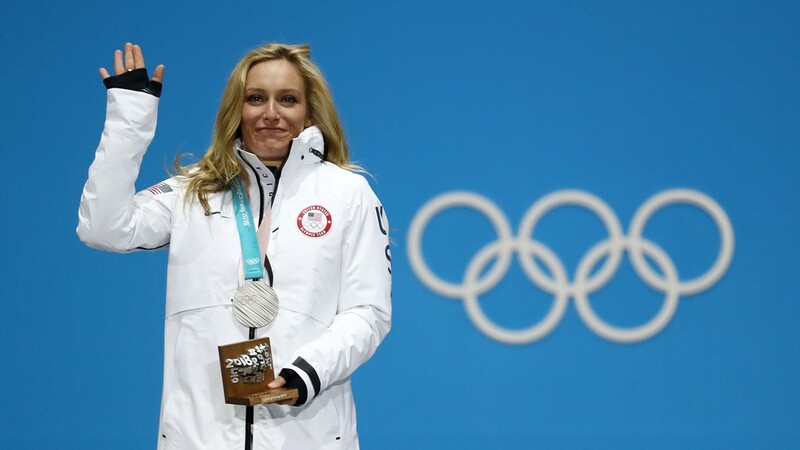 USA's gold medallist Jamie Anderson poses on the podium during the medal ceremony for the women's snowboard slopestyle at the Pyeongchang Medals Plaza during the Pyeongchang 2018 Winter Olympic Games in Pyeongchang on February 12, 2018. 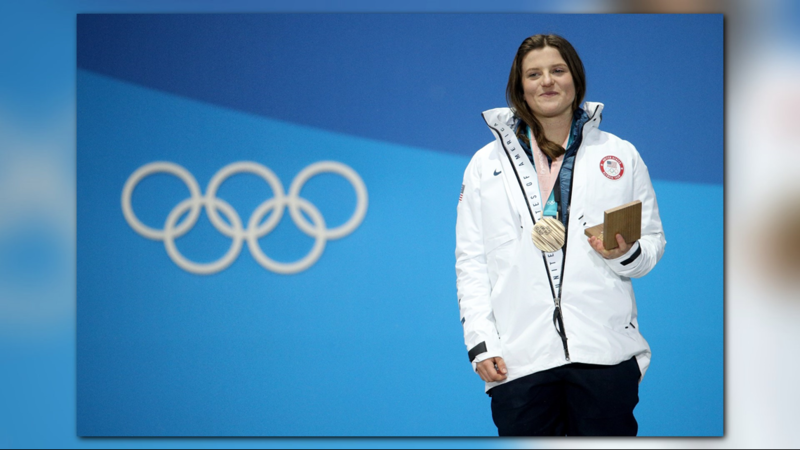 Canada's silver medallist Laurie Blouin, USA's gold medallist Jamie Anderson and Finland's bronze medallist Enni Rukajarvi pose on the podium during the medal ceremony for the women's snowboard slopestyle at the Pyeongchang Medals Plaza. 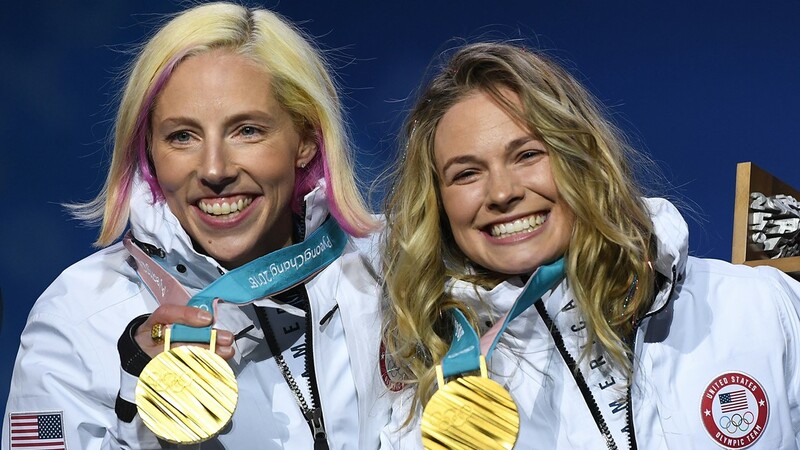 Bronze medalist Enni Rukajarvi of Finland, gold medalist Jamie Anderson of the United States and Silver medalist Laurie Blouin of Canada pose during the victory ceremony for the Snowboard Ladies' Slopestyle Final. 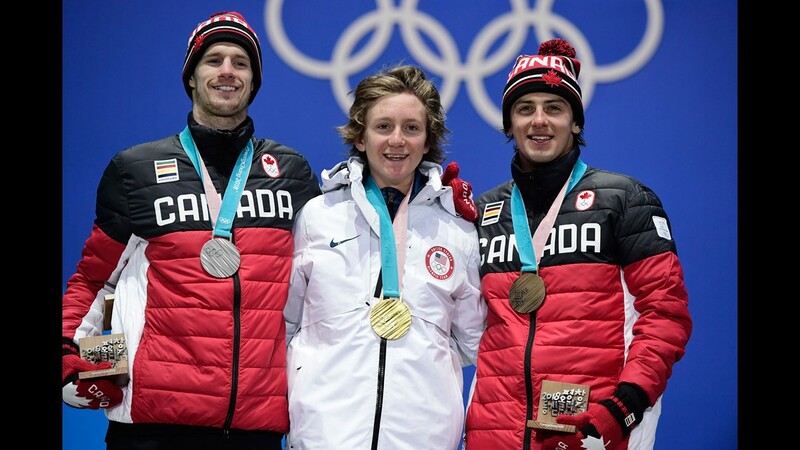 Silver medalist Max Parrot of Canada, gold medalist Redmond Gerard of the US and bronze medalist Mark McMorris of Canada stand on the podium during the Medal Ceremony for the Men's Snowboard Slopestyle at the PyeongChang 2018 Winter Olympics.